You are looking at a beautiful, clean contemporary home with tons of upgrades and the most reasonable rates in Naples. 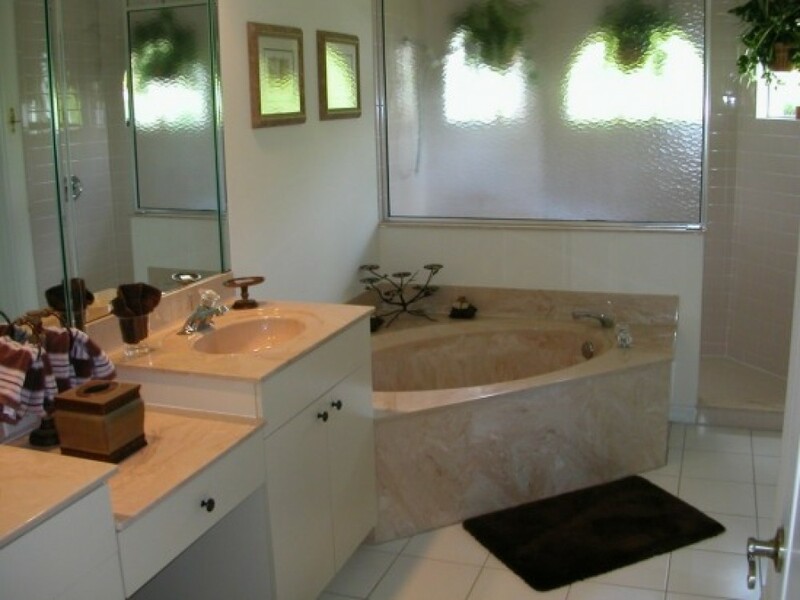 This home has three bedrooms and two full baths. The master bedroom has a comfortable pillowtop king bed with a private bath and walkin shower with double vanity and a huge walk-in closet. The twin bedroom shares a bath with the queen bedroom, which has sliding doors that open to the pool. Each bedroom has a flat screen television. The living room, salon has two comfy sofas and a 42 inch flat screen TV with DVD player. In the corner, you will find a full sized desk with WIFI and an office chair so that you can actually do some work or keep in touch with family and friends without balancing your computer on your lap. The dining room table and lanai tables seat six comfortably. The kitchen is well stocked and has modern appliances, including a side by side refrigerator/freezer, stove, oven, garbage disposal, dishwasher and there is another refrigerator/freezer in the garage. The pool gets full sun all day and is oversized and both solar and electrically heated. Four sun loungers and lots of pool toys are supplied for your enjoyment. There are beach chairs, a cooler and beach umbrellas supplied, along with lots of nice beach towels. The beach and Tin City/downtown Naples are 10 minutes from the house and there is easy access to all of Naples from Briarwood, which is a gated and guarded community. Water Park is located about 10 minutes from this home. $ $150 departure cleaning fee. $100 per week for pool heating.